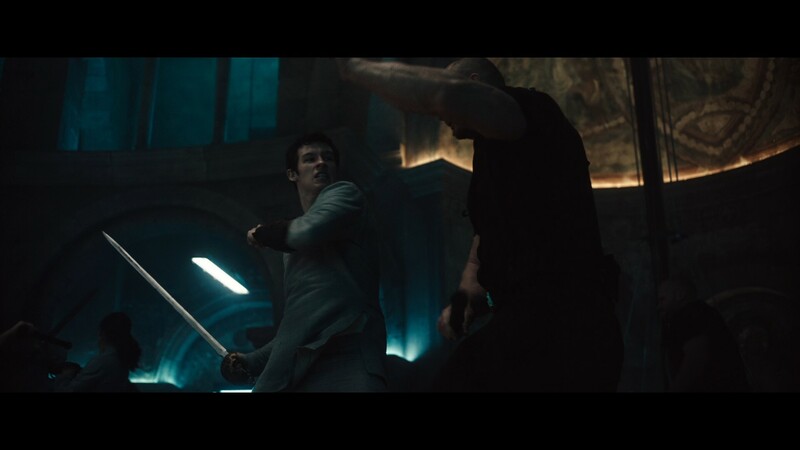 Nathan's (Callum Turner) sword from Justin Kurzel's video game adaptation Assassin's Creed. 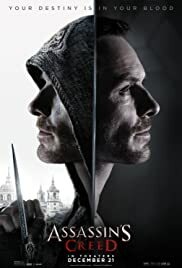 Nathan reclaimed his sword from the display cabinets of the Abstergo facility's Animus hall, using the sword and his recovered genetic memories to battle the Abstergo facility's guards alongside Cal Lynch (Michael Fassbender) and the remaining assassin inmates. 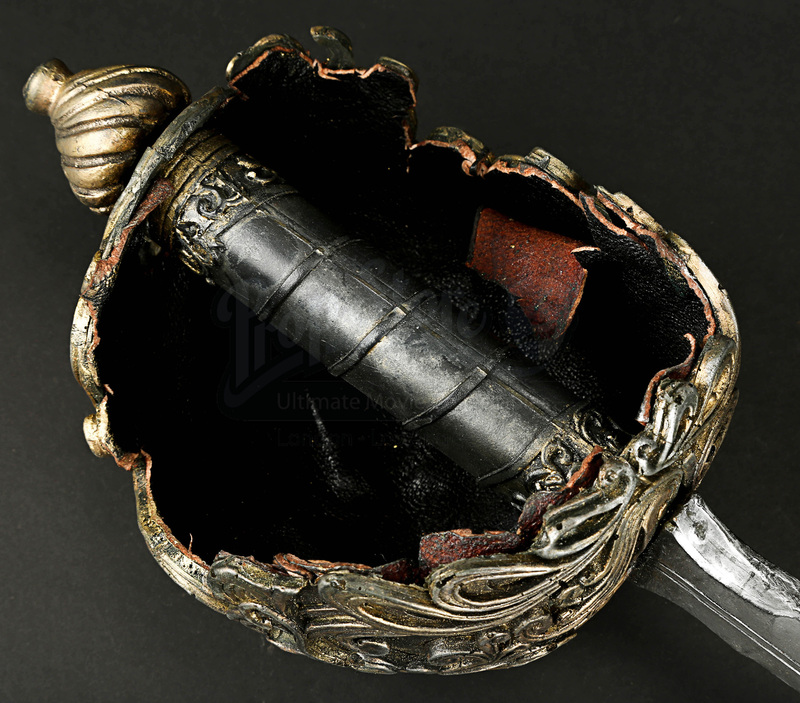 Made of rubber with a metal armature within, the sword features a grip with an elaborately detailed, enclosed guard reminiscent of the Scottish broadsword style. The interior of the guard is lined with artificial leather. Thin blood channels run down the sides of the blade while spiralling floral accents run throughout the grip. 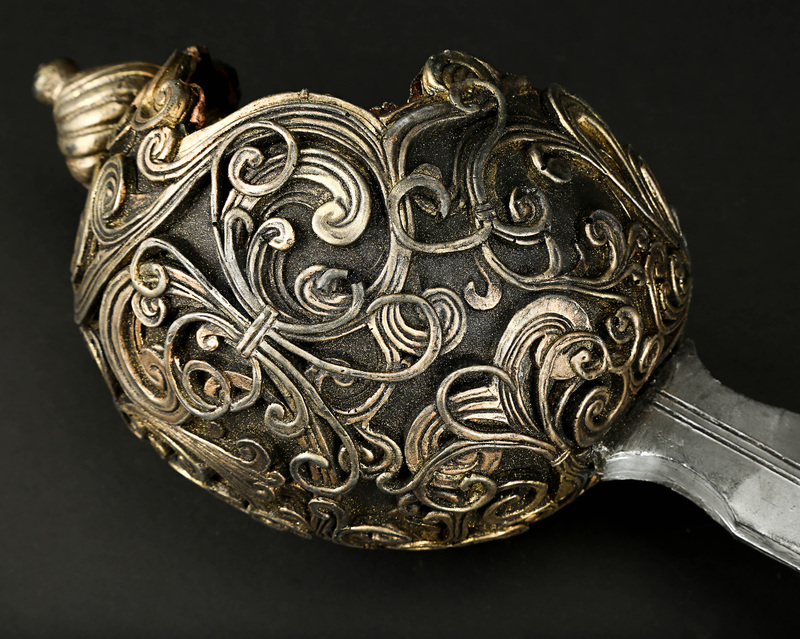 The blade is finished to replicate the appearance of metallic steel with faux-gold and brown paint used to finish the grip, guard and pommel. Some flaking and wear is present on the paint finish, with the sword in overall good condition.